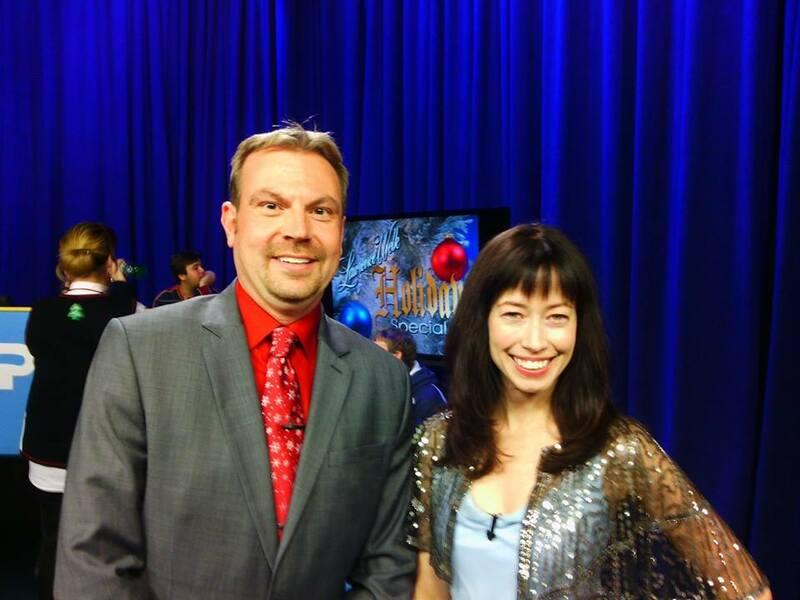 I’ve worked for more than twelve years in radio and television public broadcasting on-air fundraising hosting. 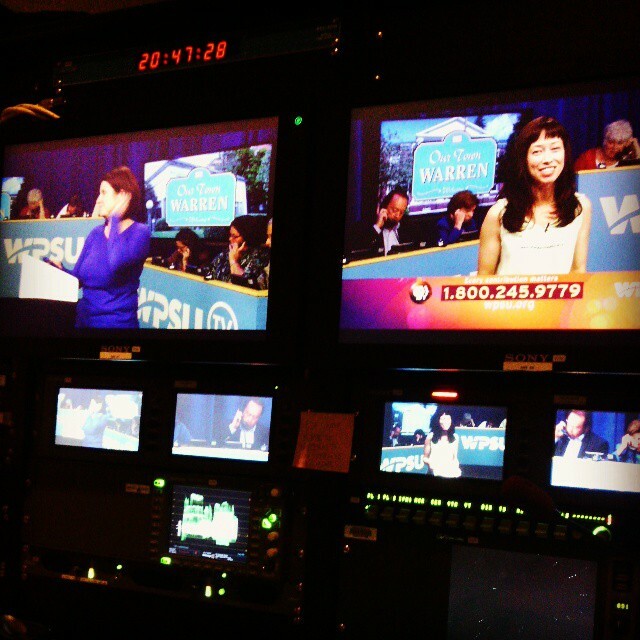 I have been producing for talent, hosting myself, directing on-air breaks from the control room, floor producing, etc. Here’s a sample of some of my on-air work, including scripted promos, live broadcast interviews, and unscripted live and live-to-tape fundraising breaks. 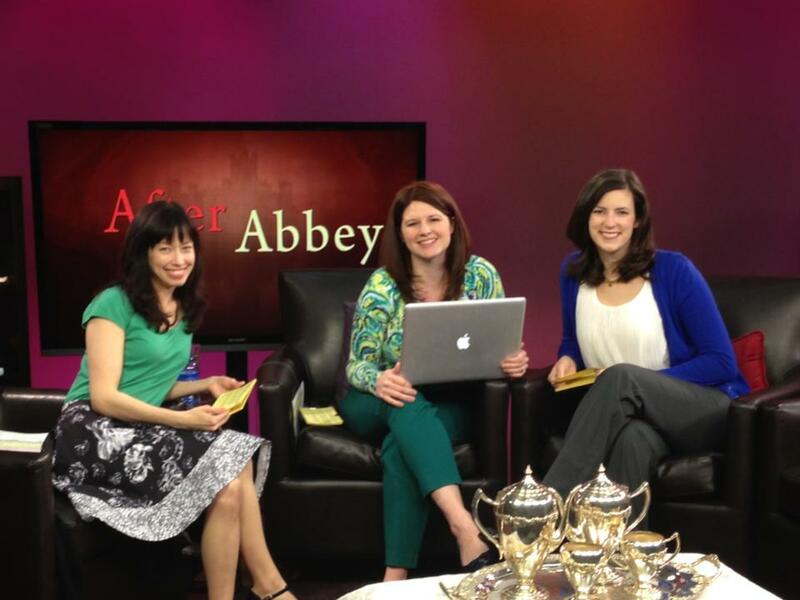 In fall 2012, I had an idea to produce and host a live post-“Downton Abbey” call-in talk show to draw viewers into a conversation with University faculty and prolong the discussion that we knew was happening in everyone’s living room, on social media, etc. Thus, “After Abbey” was born. 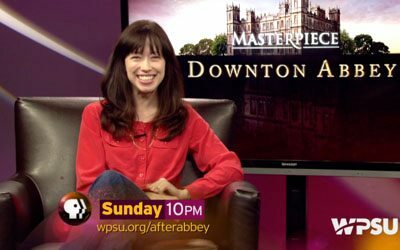 It’s become a great way to connect WPSU to the viewers on television and through social media. We’ve developed a very loyal audience and have been thrilled with the response. 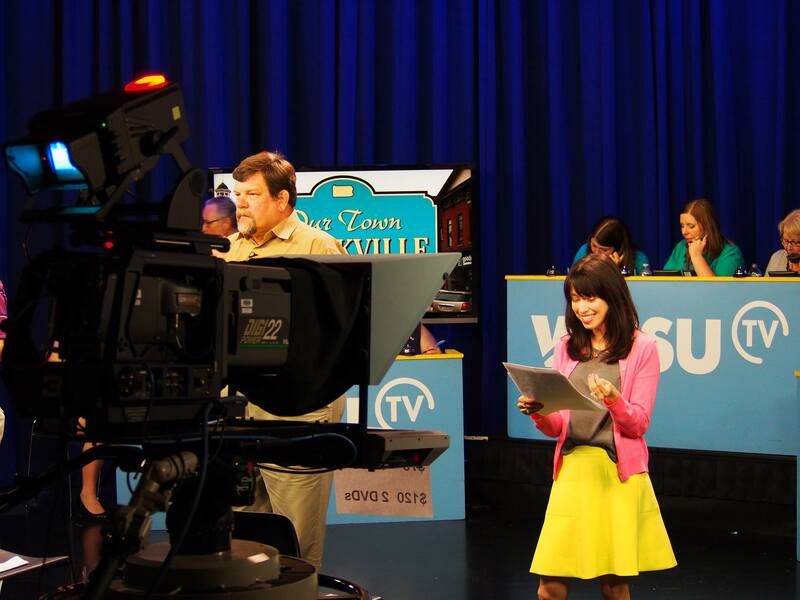 The “Our Town” project brings a community together to help boost morale, preserve heritage, and celebrate the stories its residents cherish most about their hometown as its residents partner with the local PBS station. It’s a project that gives community members the opportunity to help create and shape content, as they become storytellers and videographers. As the lead producer on the project, I’ve been fortunate enough to work with more than 30 towns to help spotlight their stories and to help their townspeople become visual storytellers. It’s a commitment to help bring stories to life that would otherwise go untold and to empower those voices that would be silenced anywhere but on public broadcasting. “Our Town: Williamsburg” LIVE broadcast! I’m sure you’ve flipped past a public television “telethon” or fundraiser. I’ve been on-air raising funds for public television since 2003. I believe so strongly in the mission that it’s something that I honestly love to do…and it’s not just because I enjoy being on camera. Well, that too. 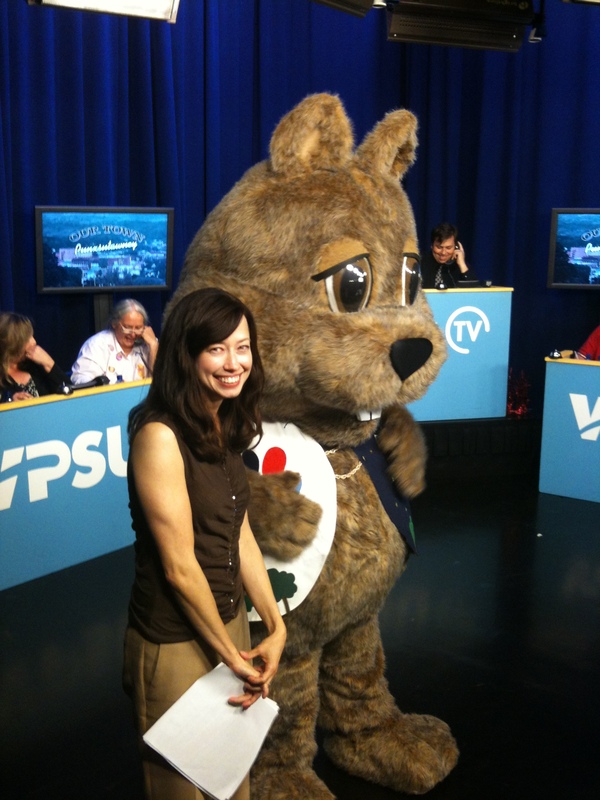 At WPSU, our on-air fundraising breaks are completely unscripted. The majority of PBS stations use teleprompter. Our breaks are all from the heart—and I know it sounds cheesy, but as the on-air fundraising producer and a host myself, it feels more natural and I think the audience appreciates the sincerity. At least, I hope they do when it comes time to contribute. From the perspective of the technical director—LIVE fundraising!